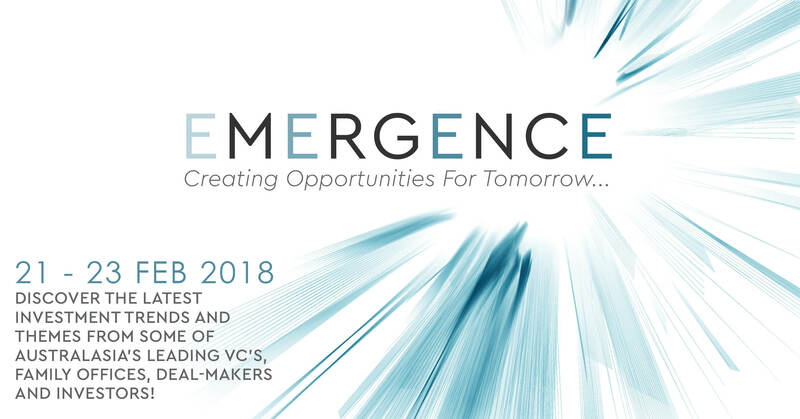 Emergence is the ideal networking platform for investors, innovators and high growth companies to create strategic alliances and opportunities for the future. Featuring high profile guest speakers, Q&A panel sessions with investors, family offices, deal makers and industry leaders, the Emergence Conference is about providing you with access to information and people vital to your success. 10 Education sessions for Founders and CEOs on Raising Capital, Creating the perfect pitch deck, Accessing R&D Finance, Blockchain application to existing businesses, Accelerating growth, Expanding to Asia, UK and the US and many more. Over the 3 days you will have the opportunity to hear about Australasia’s leading investment trends into Start-Ups, Crypto, Emerging and Listed Companies through the eyes of investors. This is your opportunity to understand how entrepreneurs and investors, family offices, VCs and fund managers are approaching investment in this space. • Dealmakers – What’s Next? Each individual needs to register with their own details (name, surname and email address) in order for the ticket to be valid.